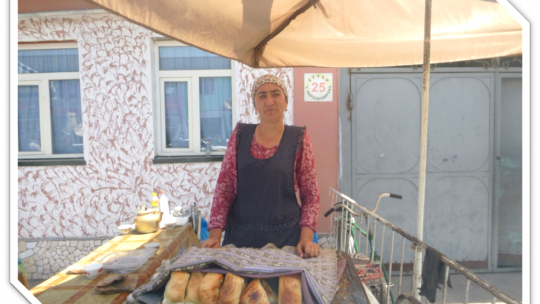 Along with her husband, Adolat makes and sells sambusas, a typical Tadjik meat pie. They started this activity three years ago and their first loan considerably improved their living conditions. Before it, they could only bake 50 sambusas per day, and the proceeds were enough to cover family expenses but not for savings. Now that several years have passed, their children have grown up. Adolat’s family met many people who became guests. As time went on, Adolat also wanted to expand her business and renovate her home. One evening, Adolat talking with her neighbours, she was advised to contact MDO HUMO and apply for a loan. They used it to buy of flour and other products. They increased their sambusas production up to 200 pieces per day and earned good profits from their sales. Thanks to her savings, Adolat could conduct the along-awaited renovation of her house.